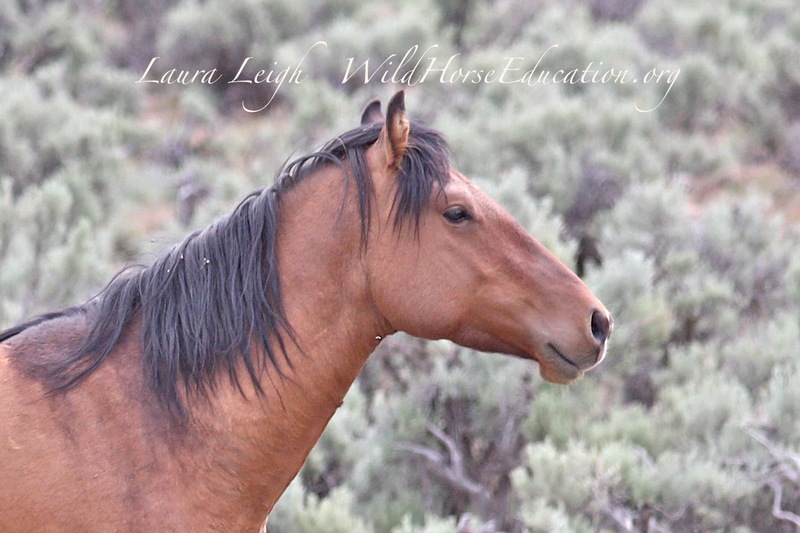 This page has been created to give a general informational outline to the wild horses of the Carter Reservoir. LOCATION: The Carter Reservoir Herd Management Area is located in Washoe County, NV with a small portion in Modoc County, CA. TOPOGRAPHY/VEGATATION: Topography in this HMA ranges from gently rolling hills to steep rocky slopes. Juniper occurs in the higher elevations. Other vegetation includes big and low sage with bluegrass, squirreltail, needlegrass and Idaho fescue. WILDLIFE: Pronghorn, mule deer, and chukar are the dominant wildlife species. HISTORY: This area contains horses thought to originate from Spanish stock. Long thick manes and tails along with the distinctive markings are all signs of the old Spanish stock. The office that manages the Carter horses manages several HMA’s on the NV/CA border. Many of the HMAs have their actual geographical location in NV. As every district in the West faces issues of pressure from livestock interests during drought the Surprise Field office is no different. There will be consistent claims of “over AML” (Appropriate Management Level). Yet when you look at “AML” for the Carter it’s 25-35 animals. These AMLs are absurdly low. This herd carries distinct genetic markers. The preservation of these markers will be near impossible at this level. There are also several serious issues with drift fencing inhibiting use of available resource and facilitating necessary movement at such low AML. 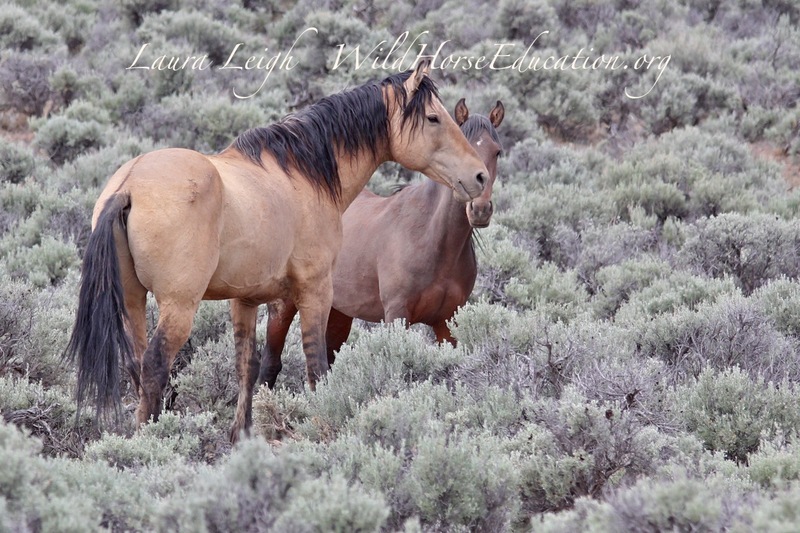 If BLM Oregon can be so protective of a group of horses that carries Spanish blood, why is California not doing the same? 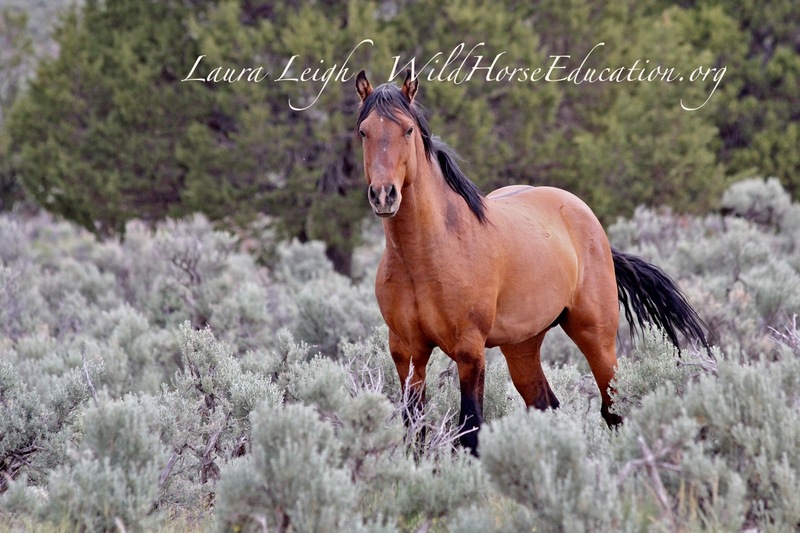 Gus Cothran has also been quoted as saying that 150 breeding animals is ideal to preserve genetic traits but also spouts the BLM “line” that to increase genetic diversity you can introduce horses from outside the herd. However that “logic” fails to recognize the appearance of alleles from inbreeding do not simply “disappear.” It can take generations of careful manipulation to erase them. The law also states that are to be managed as “wild.” The most basic definition of wild is a group that can reproduce itself. Can 25-35 animals really produce a healthy population? May 2014 Observed twelve horses total. Two foals and one yearling were present. Observed over 50 head of domestic cattle. Full observations to be complied after return visit. Will we lose this unique herd because we have failed to protect and preserve it?